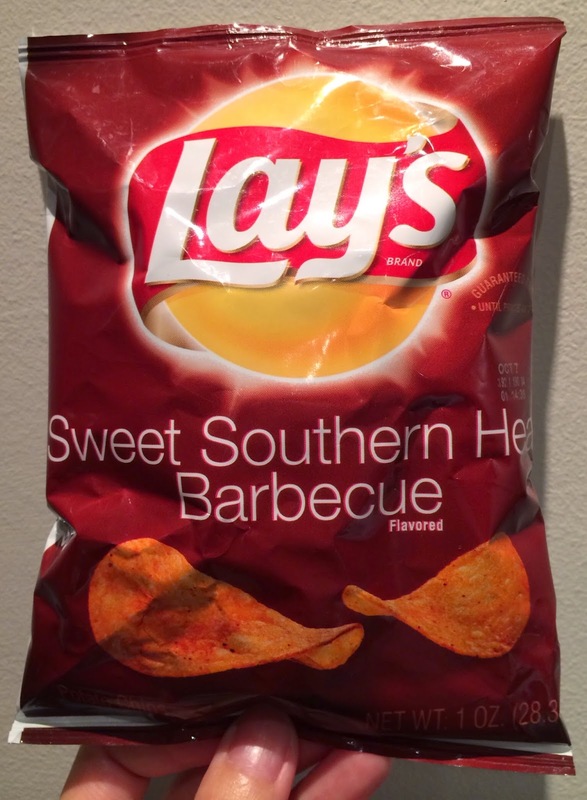 The last flavor of 4 different Lay's BBQ flavored chips is "Sweet Southern Heat Barbecue" and to be honest, this is my firs time to try this. And even I don't think I've heard of this flavor. Other BBQ flavors are below. The color was close to Lay's Old Fashioned Bar・B・Q, but had black dots on the surface, and it had no consommé scent at all. It's sweet and had sourness similar to tartar sauce. It had a some spicy and tangy flavor as it has "heat" in the name. This flavor had all the flavors that other 3 had; sweet, spicy, and sour. Ingredients are below. --- This one is also bought in the states, so not all the letters were capital. * Sweet southern heat BBQ seasoning (sugar, salt, natural flavors, onion powder, maltodextrin [made from corn], tomato powder, spices [including red pepper], cream, skim milk, paprika, garlic powder, cheddar cheese [milk, cheese cultures, salt, enzymes], whey, yeast extract, and sunflower oil). This flavor contains milk ingredients. 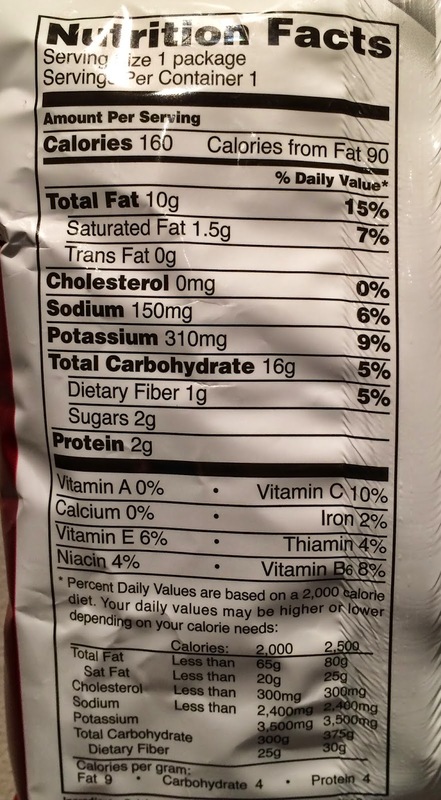 <Nutrition> --- per 1 bag (28.2g) <-- first 2 BBQ flavors are about twice as big as this bag.